On April 6, 2017, the Manhasset-Lakeville Fire Department elected new Department officers. Mark Kiess completed his term as Chief of Department and was presented with his Ex-Chief’s helmet by newly elected Chief of Department Christopher Pisani. Chief Pisani (8702) will serve as the Chief of Department for 2016-2017. 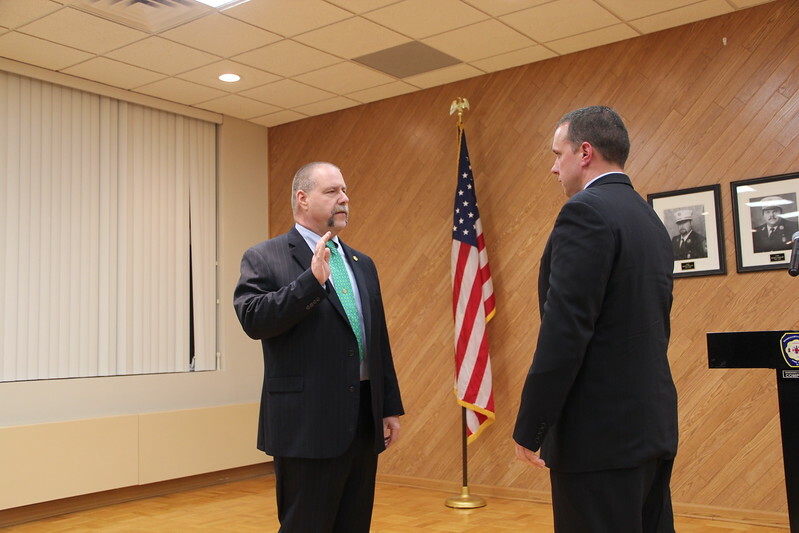 His Deputy Chiefs for 2016-2017 are: 1st Deputy Brian Stone (8705), 2nd Deputy Craig Gobbo (8704), 3rd Deputy William Mazurkiewicz (8703) and newly elected 4th Deputy Michael Rice (8701).